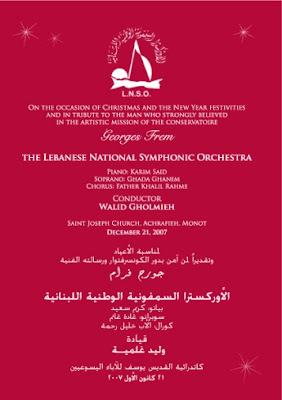 The Lebanese National Symphonic Orchestra performs in honor of INDEVCO founder, Georges Frem. 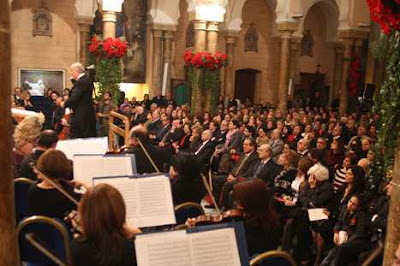 Family and friends of Georges Frem gathered at St. Joseph Church in Achrafieh - Monot on Friday evening, 21 December 2007 to celebrate the Christmas and New Year holidays and to share in Frem's belief in the National Conservatory. The Lebanese National Symphonic Orchestra, under Conductor Dr. Walid Gholmieh, paid tribute to Frem, a community leader who contributed to local arts. Amid decorations of brilliant red pointsettas and trailing ivy, guests were treated to performances by Soprano Ghada Ghanem, Karim Said on piano, and the NDU Choir directed by Fr. Khalil Rahme. "What is good for the community, we will strive to excellently and in a way that enriches the lives of our people." 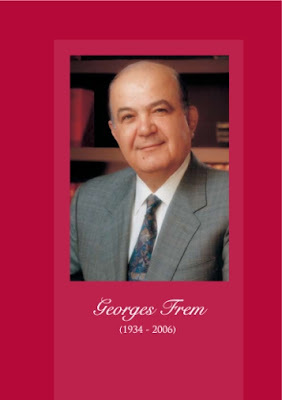 These are Georges Frem's simple words that turned into renowned deeds with remarkable impact. His concern for a better life went beyond his immediate family, and beyond the 7500 members of INDEVCO Family around the world to include the largest possible community he could reach.